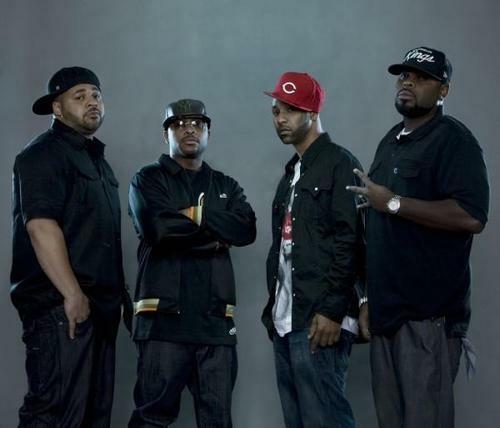 Slaughterhouse have let go of the first single off of their forthcoming Shady Records debut, Welcome to Our House. “Hammer Dance” is a certified banger that features none other than araabMUZIK on the boards. I’ve been waiting to hear this single for quite some time, and without a doubt, I can say I’m impressed. Even though I was a huge fan of araabMUZIK’s solo album Electronic Dream, I’m glad to hear that he’s back behind the boards in the Hip-Hop realm. All four emcees absolutely decimate araab’s incredible instrumental that features a nice little hard rock sample that some of you may be familiar with (*cough* Korn *cough*). Tracks like this are going to make me very irritable while waiting for May 15th to get here. This entry was posted on Tuesday, February 28, 2012 at 11:00 am and is filed under Audio, Media with tags araabMUZIK, Hammer Dance, Shady Records, Slaughterhouse. You can follow any responses to this entry through the RSS 2.0 feed. You can leave a response, or trackback from your own site.